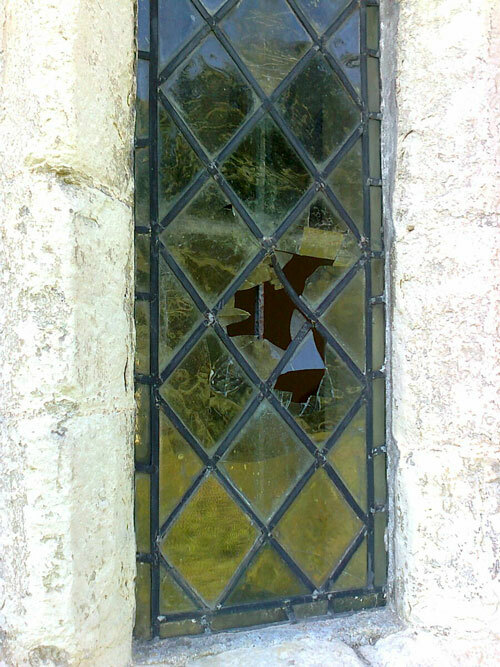 St Nicholas Church, Little Chishill - a kick around with a football during a church barbeque had rather unfortunate results for this early window. Bringing everything back into shape required not just replacing the glass but also straightening and shortening the distorted lead cames. 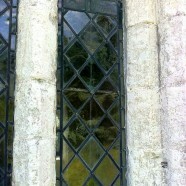 This task requires a good deal of patience as all the elements of the window are very delicate. 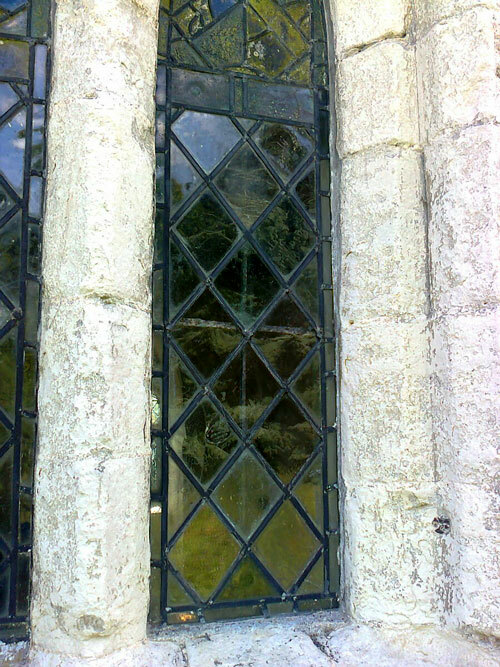 Using matching handmade glass ensured that the result matches perfectly. St Nicholas is part of the Parish of the Icknield Way Villages – a rural community of seven villages in the very north-west corner of the Chelmsford Diocese in the deanery of Saffron Walden. The parish is close to Cambridge, sitting between the medieval market towns of Saffron Walden and Royston, with villages in both Essex and Cambridgeshire. The villages lie at the very centre of the Icknield Way, the oldest track in Britain and which dates from Neolithic times. The Ickneild Way also passes right beside the village of Hadstock where we are based.